powdered bath leaves skin impossibly silky, fragrant and enlivened. Formulated as part of a spa treatment at the Spa at Sedona Rouge. Imagine taking a trip down the Nile to explore the ancient sand-swept cities flanking the river's side. The Honey Lotus Milk Bath speaks of the luxury and healing rituals of Cleopatra's time. 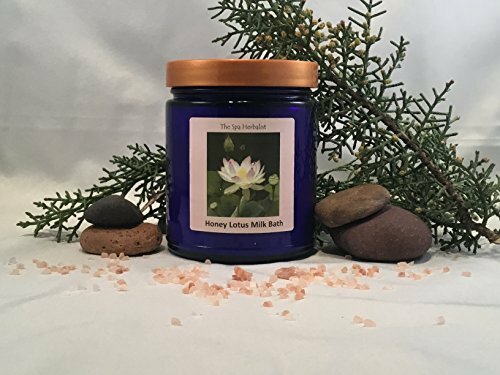 With a rich base of honey, cow's milk, buttermilk and Dead Sea salts blended with the exotic oils of sacred Blue Lotus, Rock Rose, Amyris and Patchouli, the milk bath delicately softens and hydrates the body while anointing the spirit with the secret wisdom of the ancient world. Apply Flower of Life Cream after your Honey Lotus Milk Bath for exquisitely soft skin. Imagine taking a trip down the Nile to explore the ancient sand-swept cities flanking the river's side. The Honey Lotus Milk Bath speaks of the luxury and healing rituals of Cleopatra's time. With a rich base of dried honey, cow's milk, buttermilk and Dead Sea salts blended with the spicy, floral exotic oils of sacred Lotus, Rock Rose, Amyris and Patchouli, the milk bath delicately softens and hydrates the body while anointing the spirit with the secret wisdom of the ancient world.